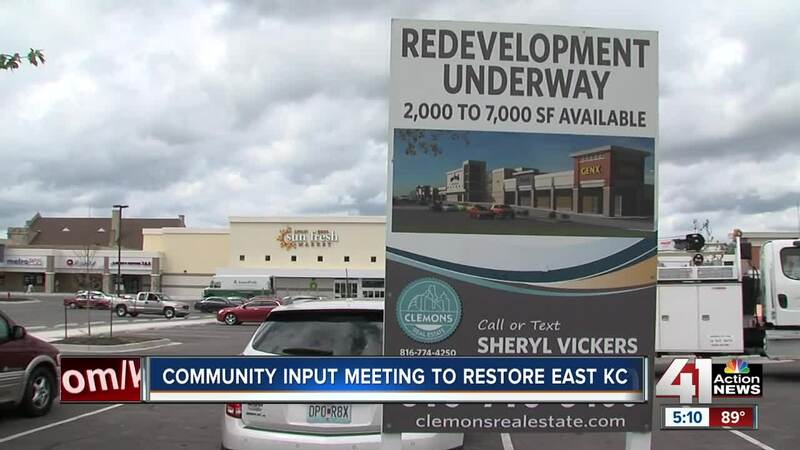 City officials and residents of east Kansas City, Missouri, gathered Saturday to discuss a proposed $10 million revitalization effort for the area. KANSAS CITY, Mo. — Fixing the east side was main topic at a public forum Saturday in Kansas City, Missouri. "I'm actually a resident," Michael Kelley of BikeWalkKC said. "I live off of Paseo. Issues affecting the east side are very important to me personally." Several people voiced their concerns about the public perception of their neighborhood, but Kansas City Councilman Scott Taylor said there are things in the works that might improve that. "We want to create that connectivity, like we see in other neighborhoods, because that creates more jobs and investment," said Taylor, one of nine candidates for KCMO mayor . Saturday's input session comes after Taylor proposed a new ordinance to pour more than $10 million into the area to bring change to the urban core, east of Troost Avenue and the Ruskin area of South Kansas City. Residents listed several concerns, including economic development and housing. "The east side has been, it seems like it's been abandoned in many ways," Kelley said. He believes this ordinance could start a movement to make the eastside community more livable. "Being able to make sure that the conversation around economic development includes discussions around ways to make it easier for people to get from things like their homes to their jobs," Kelley said. The public also was invited to submit ideas. "We have everything in our community that we need to fix our community," resident Michael Byrd said. "In particular, I'm talking about renovating buildings that are vacant and we have people that are unemployed. This gives an opportunity to bring the two together." Many residents are hopeful but perhaps still skeptical. "In this kind of program, where you are going to dedicate $10 million to the neighborhoods, don't exclude anybody," resident Mike Hughes said. The revitalization propsals ranged from creating manufacturing jobs to establishing a $10 million home improvement fund. "I am really wanting this to be a community initiative that the community can support and we can move forward together," Taylor said. Two more community input sessions are planned for 6 to 7:30 p.m. on Sept. 17 at Gregg-Klice Community Center and from noon to 1:30 p.m. on Sept. 24 at Hillcrest Community Center. The ordinance is up for vote at the end of the month.